SINCER ETECH IS specializes in various plastic molds and plastic molding manufacturing for. automotive, home appliances, medical equipment, electronics and sporting equipment, as well as general industrial OEM applications. Our company covers an area of more than 3,800 square meters workshop, surrounded with convenient transportation . At present, our group reaches to more than 150 excellent mold manufacturers in china and capital assets to more than 40 million RMB. Our capacity is 40-65 sets of injection molds per month. We have always been insisting on the idea that employees are the basis to ensure high quality products and realize the development of both employees and company. So we have enrolled lots of mould technologist, managing talents, and professional engineers in china mold making industrial. Equipment in ST are most imported from Switzerland and Taiwan. Have 21 sets Milling Machine (17 sets imported, 4 sets made at home), 9 sets CNC, 11 sets Charmilles EDM, 10 sets Grinding machines, 6 sets Lathes, 4 sets Wire Cutting Machines,30 Injection Machines and ooone CMM measurement machine, one projector, Video Measurement System, Slow-Feeding Linear Cutting Machine, etc. We are capable of injecting plastic parts with their weight below 1500g or with their capacity below 650 tons, building various kinds of plastic moulds and die casting with measurement below 8500*1000*8500mm. Besides, we adopt advanced CAD/CAE/CAM process technology and professional softwares like UG, Pro/E, Solidworks to design, analyse , build and make Plastic mold in china. Our internet managing system helps perfect quality control and the whole craft process. With ST hardworking in 14 years, we have won customers’ trust because of high quality, competent price, professional technical with fluent English communication and punctual delivery. Our customers range from many famous companies like SONY，TOSHIBA，Suzuki，Magna, ITW, MAZDA，HONDA，SUNBEM， etc. Are you looking for mold manufacturing in China to produce injection mold and plastic molding parts for your new project? Contact us now to get quote. 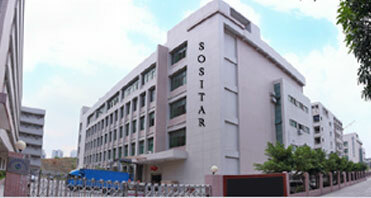 SOSITAR MOLD CO., LIMITED ,our factory Located in Shenzhen, China, and established in 1998, Sositar mold industrial Co.,LTD specializes in various plastic moulds for. automotive, home appliances, medical equipments, electronics and sporting equipments, as well as general industrial OEM applications. Our company covers an area of more than 3,800 squaremeters workshop, surrounded with convenient transportation . At present, our group reaches to more than 150 excellent toolmakers in china and capital assets to more than 15 million RMB. Our capacity is 60-80 sets mould per month. We have always been insisting on the idea that employees are the basis to ensure high quality products and realize the development of both employees and company. So we have enrolled lots of mould technologist, managing talents, and professional engineers in china mould making. Equipments in Sositar are most imported from Switzerland and Taiwan. They are 21 sets Milling Machine (17 sets imported, 4 sets made at home), 6 sets CNC, 11 sets Charmilles EDM, 10 sets Grinding machines, 4 sets Lathes, 7 sets Wire Cutting Machines,10 Injection Machines and CMM, Video Measurement System, Slow-Feeding Linear Cutting Machine, etc. We are capable of injecting plastic parts with their weight below 1500g or with their capacity below 650 tons, building various kinds of plastic moulds and die casting with measurement below 8500*1000*8500mm. Besides, we adopt advanced CAD/CAE/CAM process technology and professional softwares like UG, Pro/E, Solidworks to design, analyse , build and make mold in china. Our internet managing system helps perfect quality control and the whole craft process. With Sositar group’s hardworking in 12 years, we have won customers’ trust because of high quality, competent price, easy communication and punctual delivery. Our customers range from many famous companies like SONY，TAFAL，TOSHIBA，HITACHI，MAZDA，HONDA，SUNBEM，PHILIPS, etc. We were successfully accredited with ISO 9001:2000 certificate in 2004. With “Service in heart,Quality in soul” , we could provide a complete service system to both old and new customers.